The adjective 'picturesque' is greatly overused by writers of travel articles and tourism brochures. 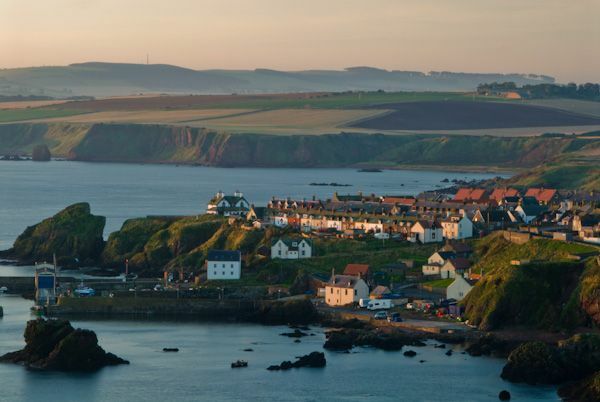 But try as I might, I can't really come up with a better word to describe the lovely little fishing village of St Abbs, on the south-east Berwickshire coast, just inside the Scottish border. The village is named after the 7th-century St Ebba, or Aebba, who is supposed to have established a nunnery along the cliffs just north of the village. The ruins of St Ebba's nunnery can be seen today by taking the coastal path that leads through St Abbs Head National Nature Reserve. The reserve is heaven for bird-watchers, for the high cliffs are home to thousands of seabirds. 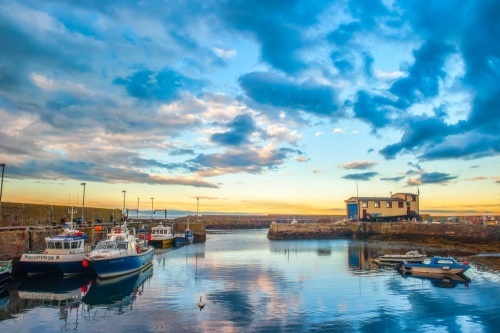 In fact, it is probably one of the best places in all of Britain to view seabirds, particularly during the prime nesting season of May-August. 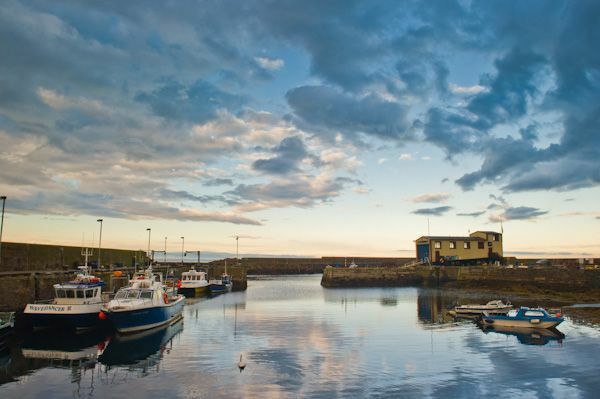 The waters around St Abbs are so clean and clear that the area has become extremely popular for scuba diving, with divers regularly coming from Europe to enjoy a dip in the waters. 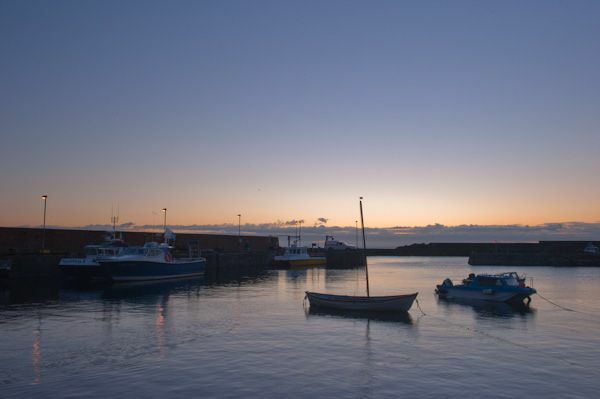 On one recent stroll around St Abbs harbour, I counted 3 vans registered to different Dutch diving tour operators, a testament to how popular the area has become. 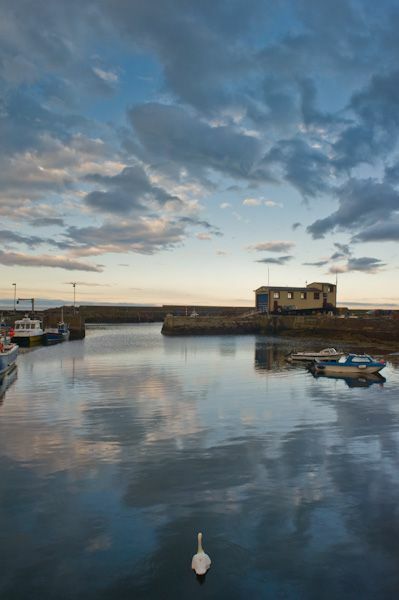 The harbour is a fascinating place, part of a voluntary nature reserve managed by the residents of St Abbs themselves. The harbour is not owned or maintained by the local council but by a charitable trust set up by the residents themselves. A steep set of stairs rises up from the harbourside to a small viewing platform overlooking the harbour. 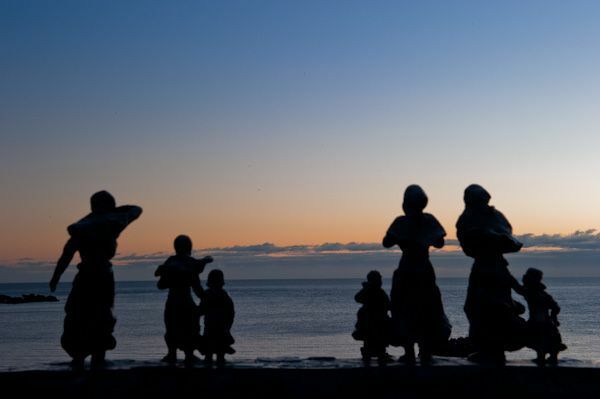 Here you will see a poignant memorial to 3 local fishermen who lost their lives at sea during the great storm of 1881. The memorial shows figures of their wives and children, braced against the wind, looking out to see for the men who will never return. 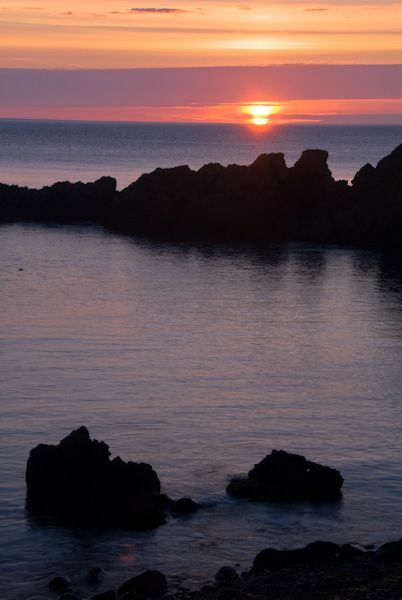 The original name of St Abbs was Coldingham Shore. It was used by fishermen living in Fisher's Brae in Coldingham, who carried their gear along the Creel Path to the harbour. 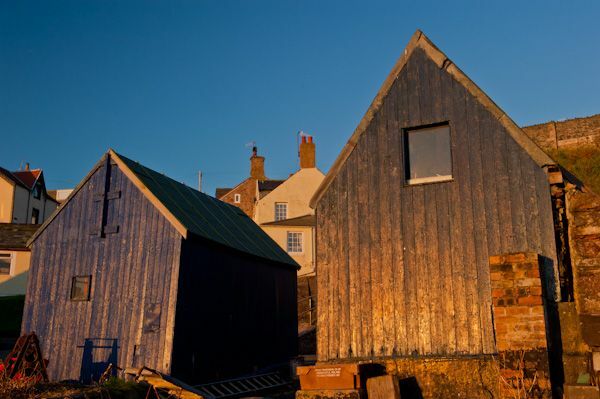 The first permanent houses were only built around the middle of the 18th century. 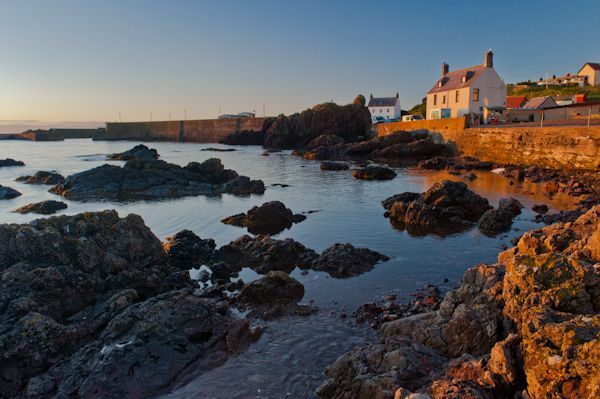 At the end of the 19th century the local laird, Mr Andrew Usher, must have been possessed of a fit of Victorian romanticism, for he decided to rename the village as St Abbs, in honour of the legend of Aebba. 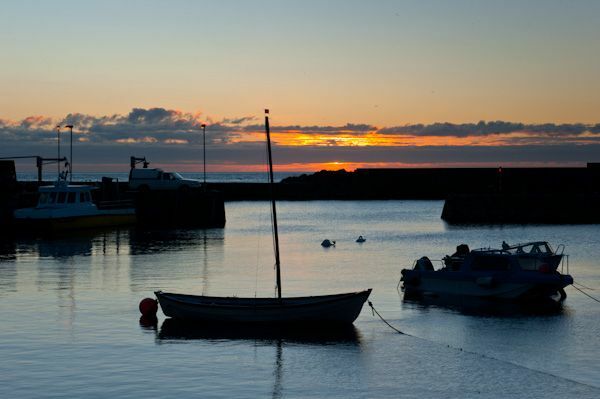 The change also helped distinguish the fishing port from the main village of Coldingham. According to legend, Aebba was a 7th-century abbess of a nunnery founded on Kirk Hill, just north of the village. There are quite a few rather dubious tales associated with Aebba, the most common being that she and her nuns mutilated themselves to be less apealling to a party of Viking raiders, and thereby preserve their chastity. However, this story is based on an account by Matthew Paris in the 14th century and may be regarded with no little suspicion. 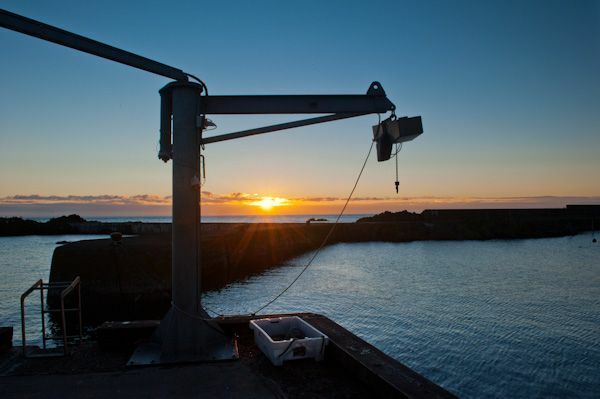 The St Abbs community website has a wonderful article describing this story. But who was Aebba (Ebba)? Most probably she was a daughter of King Ãhelfrith of Bernicia, the first leader of a unified Northumbrian kingdom. When Ãhelfrith was killed by Edwin of Deira, Aebba fled north into the Scottish kingdom of Dalriada, where she was converted to Christianity. 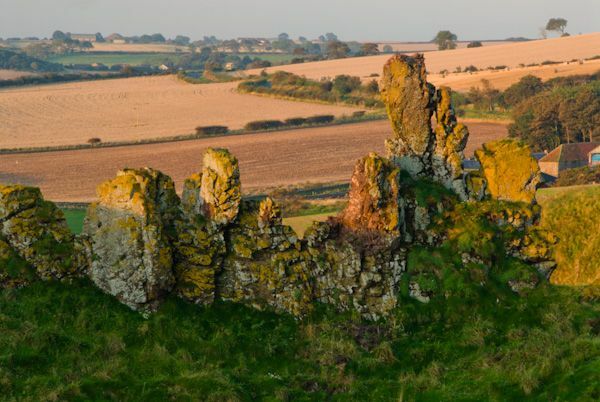 After decades of various alliances and battles, Aebba's brothers re-established themselves on the Northumbrian throne, and Aebba was free to found a monastery on the clifftop site of Urbs Coludi, known now as Kirk Hill. This was a 'double monastery', with both monks and nuns, and lasted about 40 years. One of the nuns at Aebba's monastery was Ãtheldreda, who went on to establish a monastery near modern Ely, in Cambridgeshire, on a site which later became Ely Cathedral. Apparently Aebba's monastery was not always known for strict observance of discipline, and the monks and nuns were a little too worldly for the taste of later writers. St Cuthbert himself is said to have visited Kirk Hill to instruct the community. The monastery is thought to have been destroyed by fire in 683 AD, and the site was abandoned. 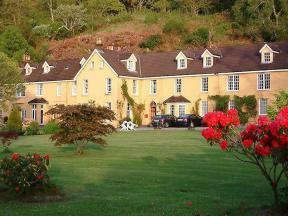 However, the site became a destination for pigrims, who came to visit Kirk Hill and a holy spring at the top of the beach at Horse Castle Bay. The village is actually quite small, and the harbour area is very compact. There is a small paid parking area at the harbour, with the proceeds used going directly to maintain the harbour area. If you want to walk through the nature reserve I suggest you don not drive down to St Abbs itself, but park at the visitor centre back along the Coldingham road. 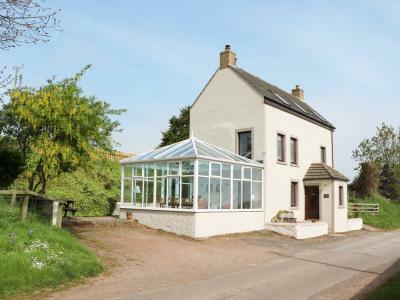 Location: Access via the B6438 from Coldingham. Small harbourside parking area. Larger visitor centre parking for St Abbs Head Nature Reserve about 1/4 mile before you reach the harbour. 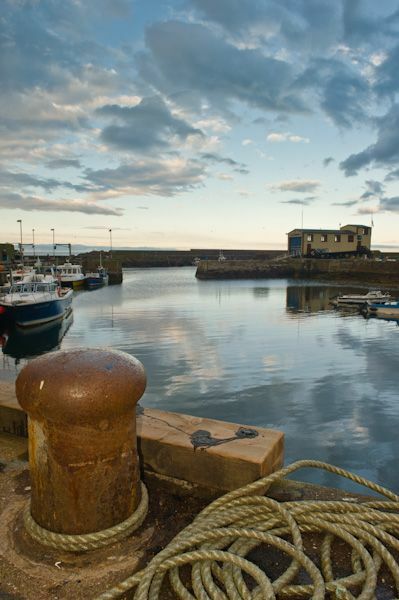 This lovely apartment is attached to the owner's property in the harbour village of St Abbs and can sleep four people in two bedrooms. 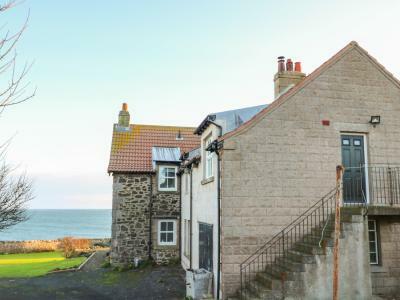 This detached house sits in the village of St Abbs in the Scottish Borders and can sleep eight people in four bedrooms.